As the healthcare industry shifts focus from volume to value, standardization is needed to accurately benchmark labor resource utilization. 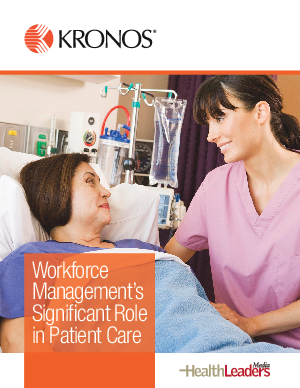 This is the premise of a survey conducted by HealthLeaders Media and sponsored by Kronos. What constitutes direct patient care? Hands-on patient assessment, administering medications, and performing procedures clearly top the list. But can other activities be considered direct care too—even those not conducted in a patient’s presence?